Shelley Hull's art has been shown nationally for the last 30 years in venues such as the New Museum of Contemporary Art in NYC, University Galleries at Illinois State University, Arvada Center for the Arts, Foothills Art Center in Colorado. Her work is found in many private collections in the U.S. and in the U.K. She has been honored with awards such as an NEA, Visual Artist Fellowship Grant, Painting in 1984. Her art was selected to hang in the Senate Office of Cory Gardner, in Washington, DC and was on loan through the Art in Embassies program in Suva, Fiji and Kathmandu, Nepal. Her landscapes reflect a love of the Southwest, of hiking and of painting the western landscape. 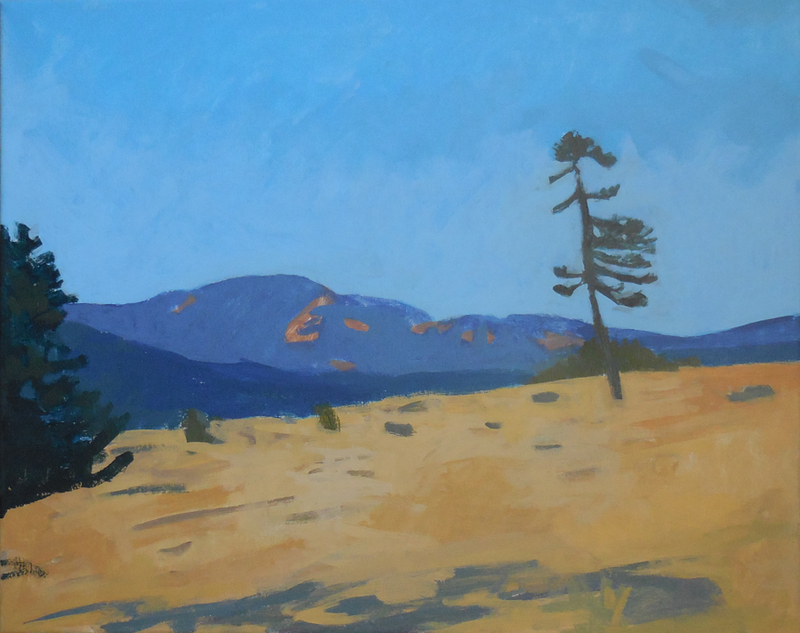 Her paintings are contemporary landscapes inspired by, and reflections of, the American West. For a long time I have been fascinated with the Southwestern landscape. When I moved to Denver in 1997 I was able to explore and sketch daily, not just in yearly visits. I love to paint the mountains, the desert, cliffs, hoodoos, moraines, cirques, canyons, valleys, clouds and the vast ever changing western sky. For inquiries about the paintings, commissions or pricing email me, visit my store on etsy or order prints of some paintings on Artfully Walls ™ and Anthropologie Six Shooter and Over the Border .